This bundle includes all the available PokerStars Clone Mercury themes. What are the benefits of using PokerStars Clone? 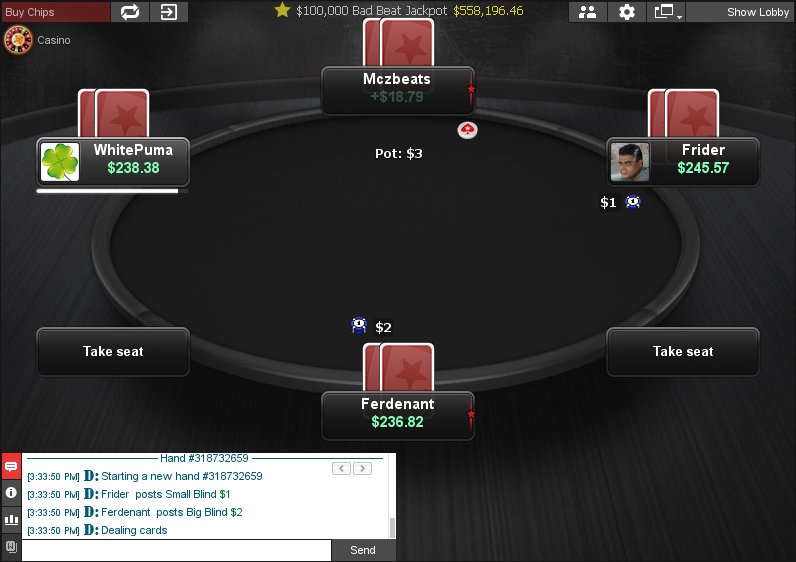 PokerStars has been the main site you’ve been playing poker on and you’ve really gotten used to how the tables look. When you’ve tried other sites, they just look weird and after some time, you always return to PokerStars. But by using the PokerStars Clone table theme, it will make the transition easier for you, because the tables will look more familiar. You are playing on multiple sites, but you are getting tired faster compared to when you only played on Stars. This is normal, because every time you look at a different looking table, your brain has to readjust, and this takes a small amount of extra energy every time. This faster depletion of energy will lead to losing your focus faster and this leads to your decision quality to go down, and we all know what this means – less money won. But if all the tables across different sites would look about the same, your brain wouldn’t have to make those adjustments from one site to another and you can gain an extra edge on your opponents, who are not using table themes and will lose focus faster. You just don’t like how the tables look on the site you are playing on. This might even stop you from playing there, despite the games being profitable. This means you are leaving a lot of money on the table (or on a site). But if you can make the tables look better with a table theme, then that money won’t be left on the table anymore and will be added to your bankroll instead! Yes, the reason is very simple – buying the bundle is considerably cheaper than buying all the themes separately. Buying the themes separately for all sites would cost €114, but buying the bundle will only cost €69, which will save you €45 – making the price of one theme only €11.50 instead of €19. Buy now, because the price won’t stay this low for long! When multi-siting is getting more and more standard, don’t let your opponents, who use custom table themes, have an extra edge on you. Get the PokerStars clone bundle and multi-site like a BOSS!